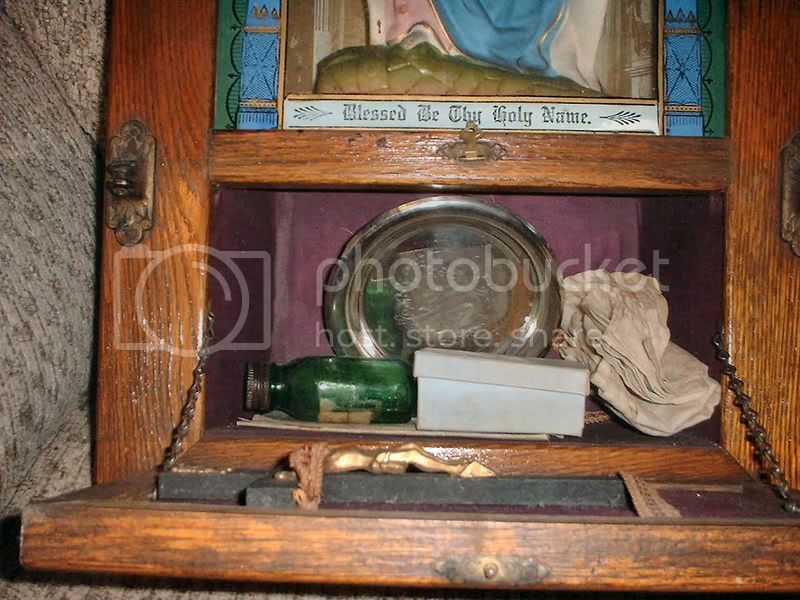 there’s all kinds of things here, including a silver dish for the Blessed Sacrament and a bottle for holy water and a crucifix. 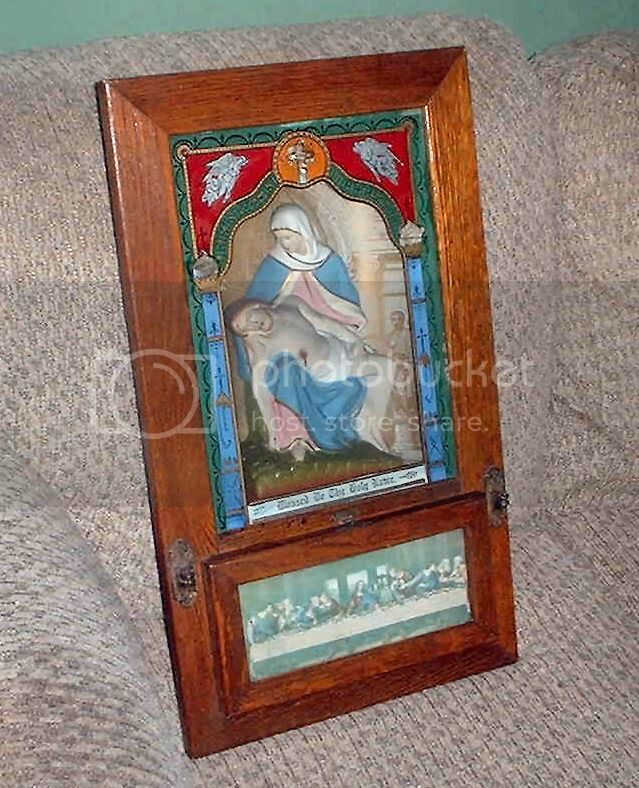 On the sides of the little door, you can see places for small candles. I have no idea what it’s worth, but it’s a very special treasure. What a special treasure! I am Catholic and haven’t heard of that…its so neat. Thanks for sharing…oh, and my treasure is up! Very cool! I’m not Catholic, so I’ve never seen this. Thanks for sharing!